Health Partners America (HPA), a company that provides training, tools, and technology solutions for insurance agents and employers who are navigating the health reform legislation, is pleased to announce the launch of the Insight Catalyst Report, a new decision-making tool to help health insurance agents provide actionable information to their employer clients. What the other tools are missing is an analysis of how the employer’s decision to offer coverage might adversely impact the company’s employees and their family members who might otherwise qualify for government subsidies in the individual marketplace. Health Partners America (healthpartnersamerica.com), a company that provides training, tools, and technology solutions for insurance agents and employers who are navigating the health reform legislation, is pleased to announce the launch of the Insight Catalyst Report, a new decision-making tool to help health insurance agents provide actionable information to their employer clients. This one-of-a-kind tool provides employers of all sizes with a customized report that details the impact of health care reform on their company and, more importantly, on their employees. This information, explains Mel Blackwell, CEO for Health Partners America (HPA), cannot be found anywhere else. The subsidies Blackwell refers to are the premium tax credits available to individuals who do not have access to affordable employer-sponsored coverage, and the way the subsidies are designed creates a problem for employers who want to do the right thing for their employees. As HPA tells the brokers who use the company’s private exchange technology to provide a user-friendly shopping portal for individuals and families, offering group health coverage starting in 2014 could actually hurt employees by blocking them from these generous tax credits. While this conclusion makes sense to most agents, what they’ve needed is a way to show their employer clients, in real dollars, the impact on their bottom line – and the impact on their employees’ pocketbooks – of their decision to offer or drop coverage. 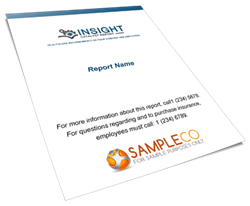 The Insight Catalyst Report gives them that information. There’s another benefit, too. The new analysis tool creates a revenue opportunity for insurance agents, who will charge employers for the report. This is welcomed news for agents who have been recommending to some of their clients that they discontinue their group health plan. Since agents are usually paid a commission for the products they sell, recommending that a company stop offering health insurance, which is often in the best interest of the employer and the employees, can actually cost the agent money. But the Insight Catalyst Report helps compensate the agent for the advice he is providing while arming the employer with valuable information that could save the company thousands of dollars. Additionally, because some employers will decide to cancel their health insurance after studying their customized Insight Catalyst Report, putting this decision-making tool in their clients’ hands will provide agents with a steady stream of individual leads for their private exchange site. Founded in 2007, Health Partners America provides insurance brokers with the tools, training and technology to help businesses deliver quality health coverage using affordable solutions. The company offers the industry’s first broker-friendly private health insurance exchange, allowing advisors to provide custom solutions to employer groups, associations, and other organizations. If you’d like more information about the Insight Catalyst Report, please contact Katie Burns at 205-443-2184 or visit http://www.healthpartnersamerica.com.